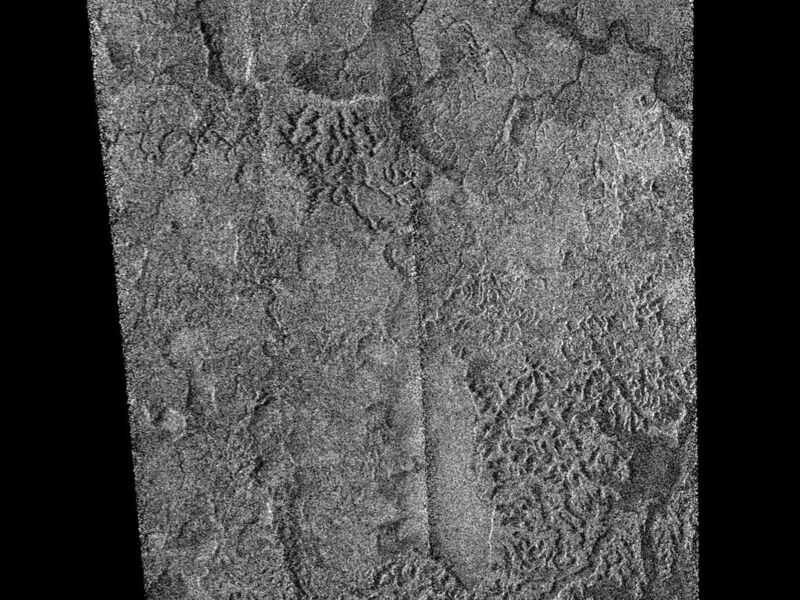 This synthetic aperture radar image was obtained by the Cassini spacecraft on its pass by Titan's south pole on Dec. 20, 2007. This image is centered near 76.5 south, 32.5 west and covers an area of 620 kilometers by 270 kilometers (385 miles by 170 miles). Abundant evidence for flowing liquids is seen in this image, from sinuous, wide river channels to shorter, more chaotic drainage patterns. 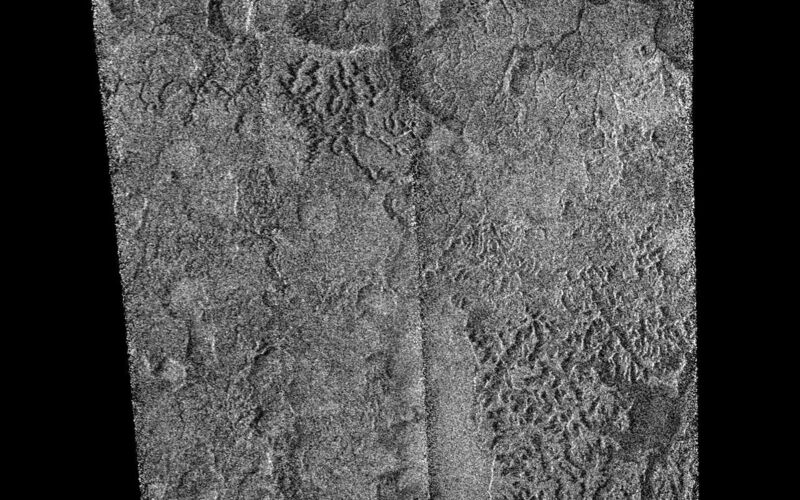 The extremely dissected, rugged terrain in the southern portion of the image has been very eroded by flowing liquids, probably from a combination of methane rainstorms and sapping (subsurface methane rising to erode the surface). 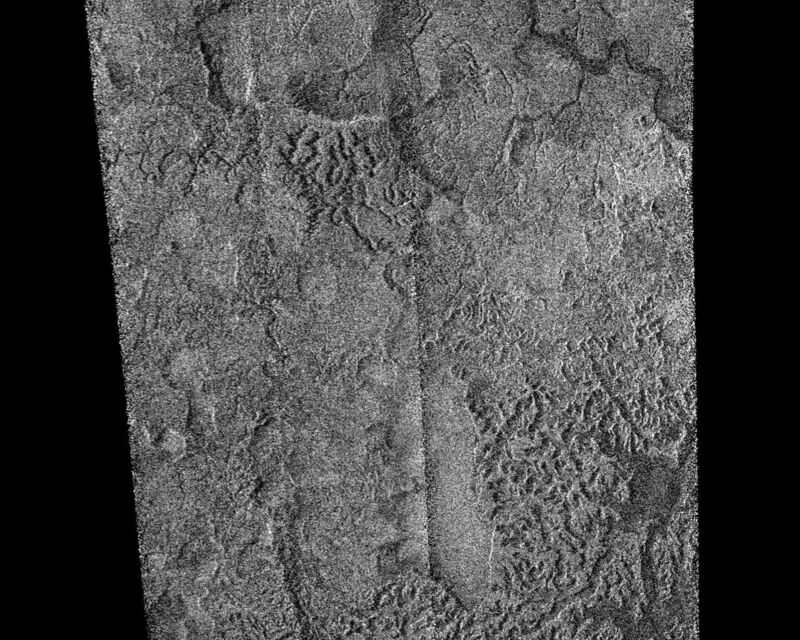 The broad valleys seen in the southern portion of the image are particularly intriguing, as they appear to be flat-floored, filled with smooth material, and in places have sharply defined, relatively straight sides. Valleys such as this can be formed by tectonic processes, such as rifting, or by erosional processes, caused by flowing liquid or ice.